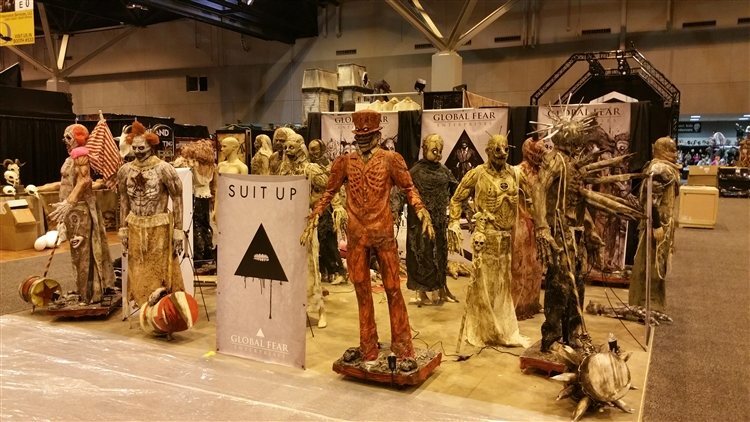 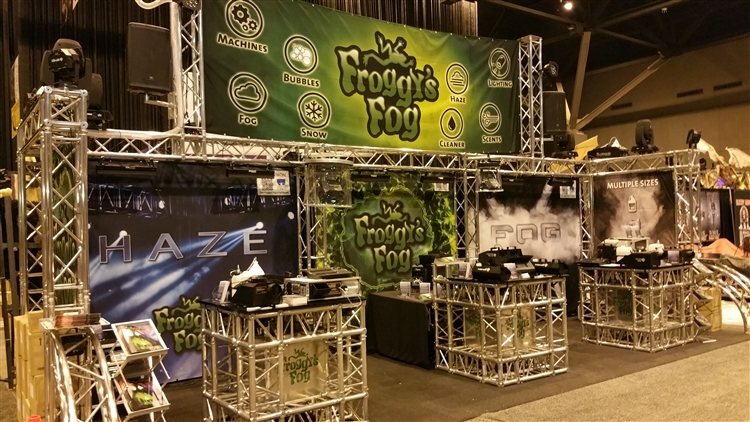 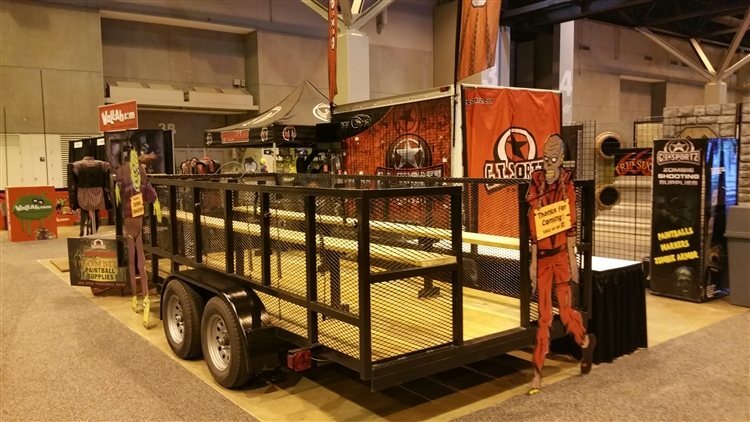 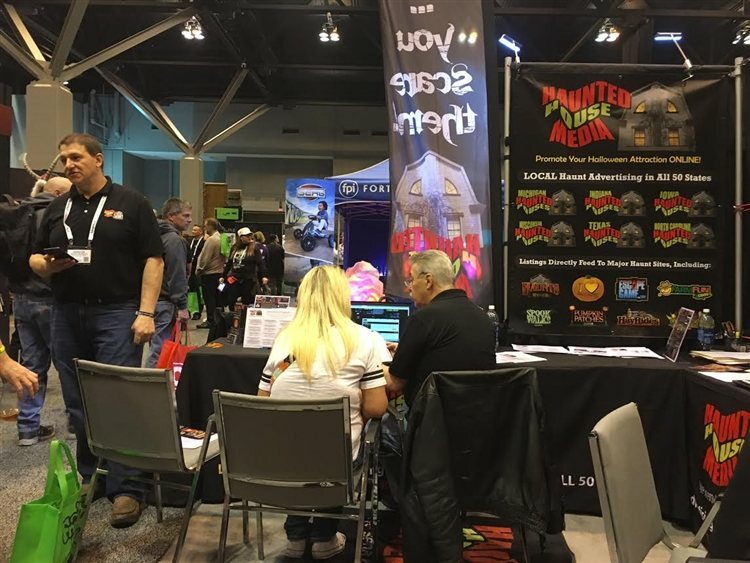 March 30, 2017 By Chelsea T.
Taking place each year in downtown St. Louis at The America's Center, The 2017 TransWorld Halloween & Attractions Show filled the show floor with thousands from across the nation. 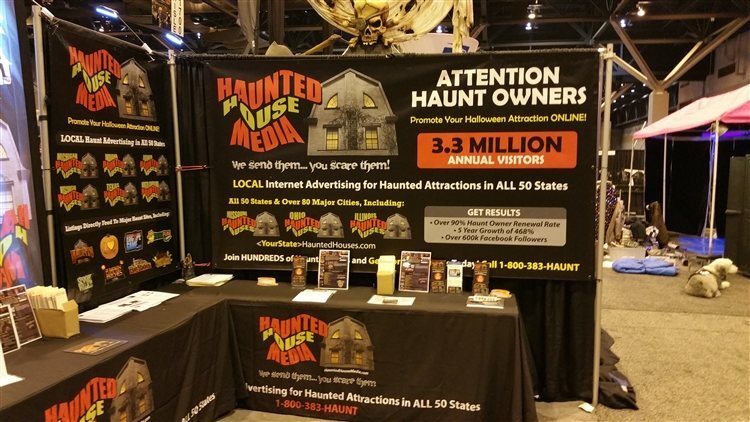 SpookWalks.com was lucky enough to have a booth at the event, along with our parent company, Haunted House Media. 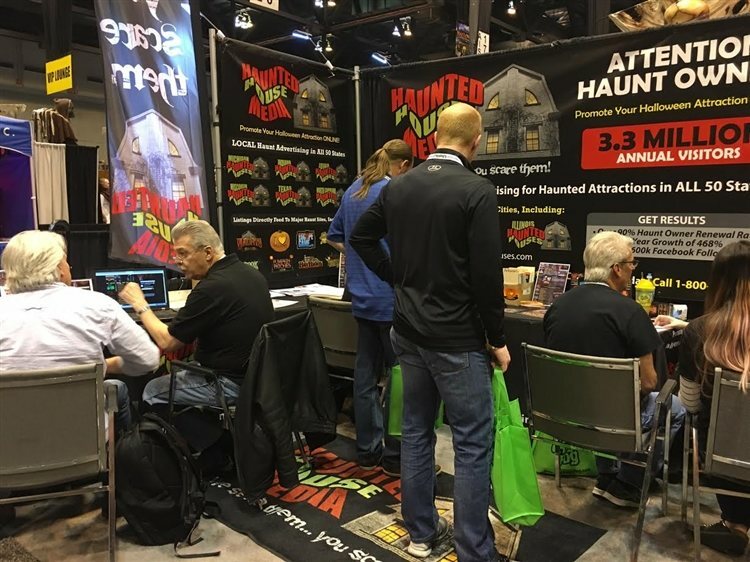 We set up shop at Booth #1517, where we had the opportunity to discuss Early Bird Specials with new and existing Spook Walk and Haunted Trail clients. 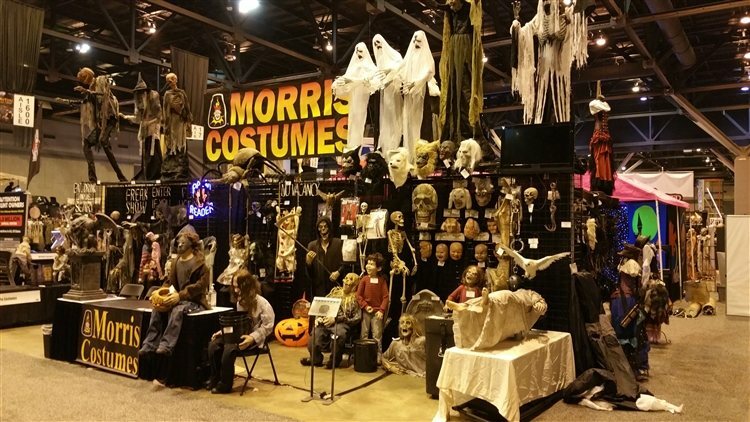 Tons of Haunt Owners and Halloween Enthusiast alike traveled from all across the country filled to check out the show, browsing the aisles of endless Halloween goods. 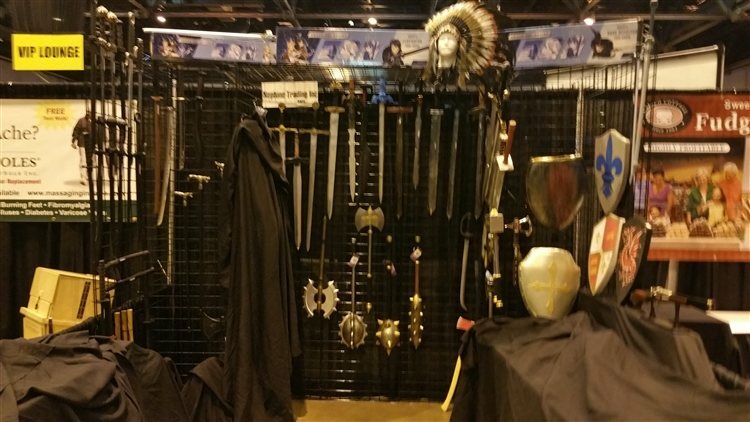 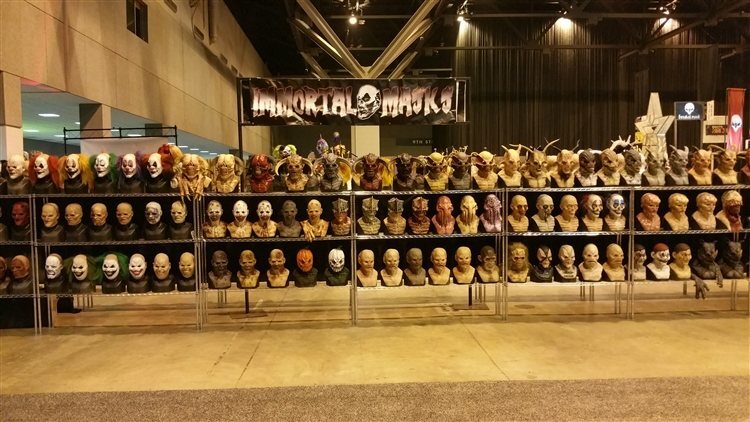 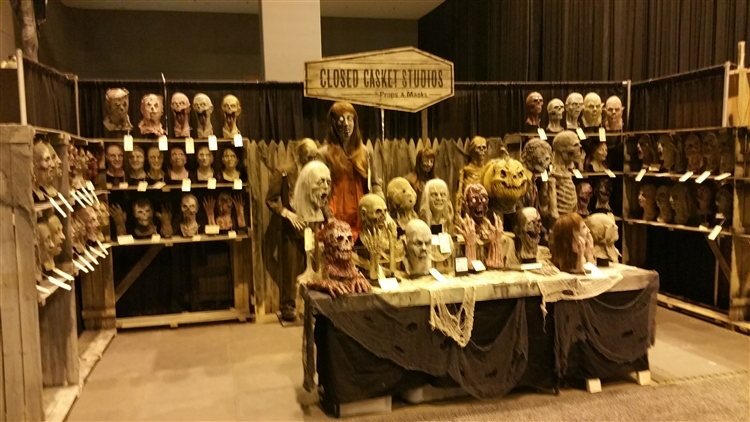 The aisles were jam packed with Prop Makers, Special Effects Specialists, Builders, Costume and Mask Makers, Makeup Artists and much, much more. 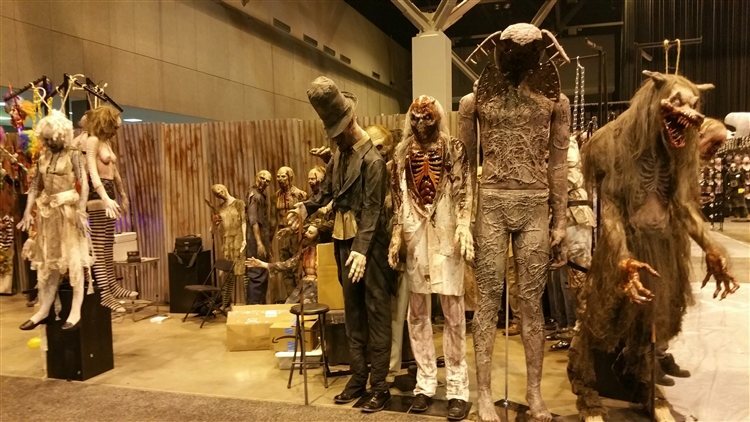 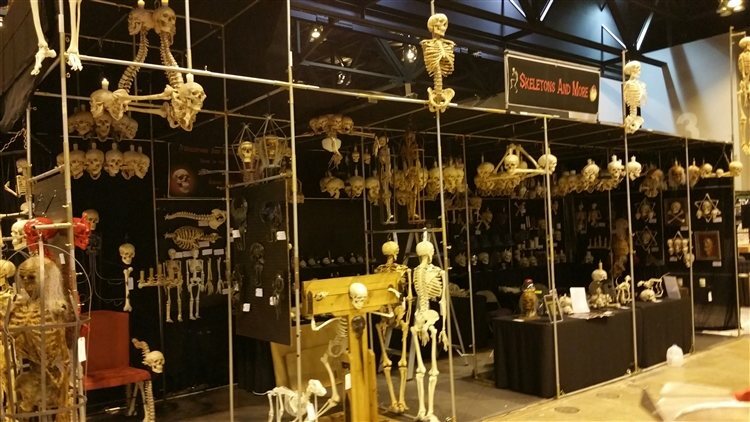 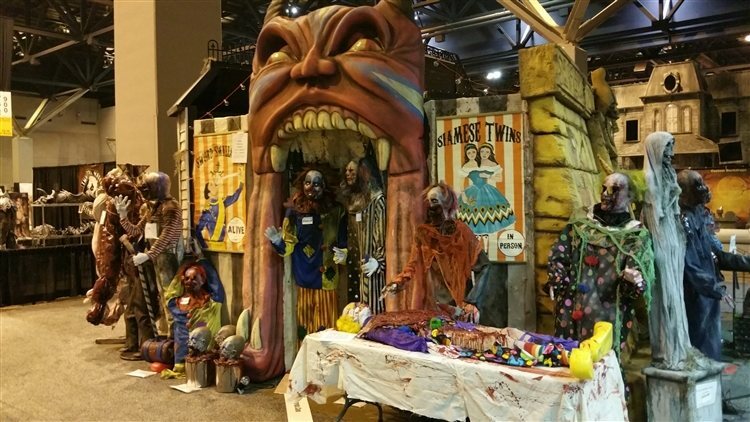 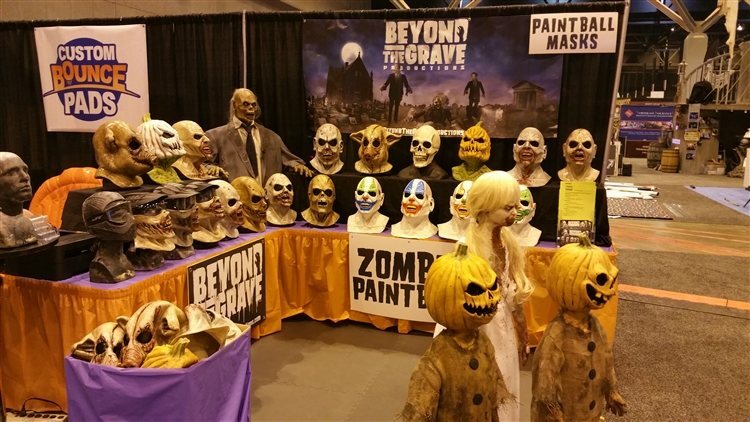 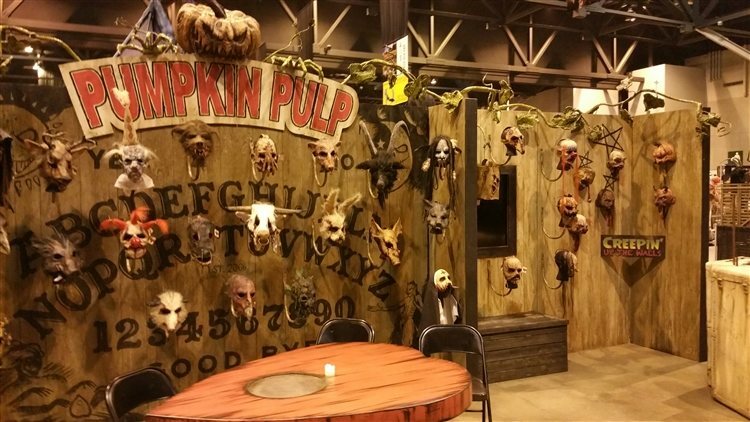 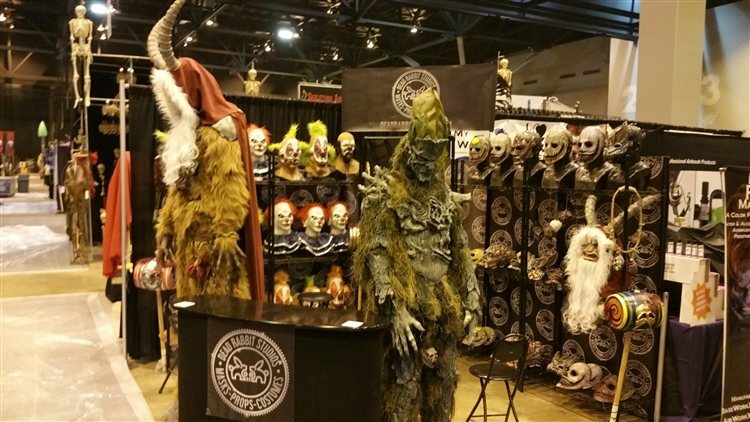 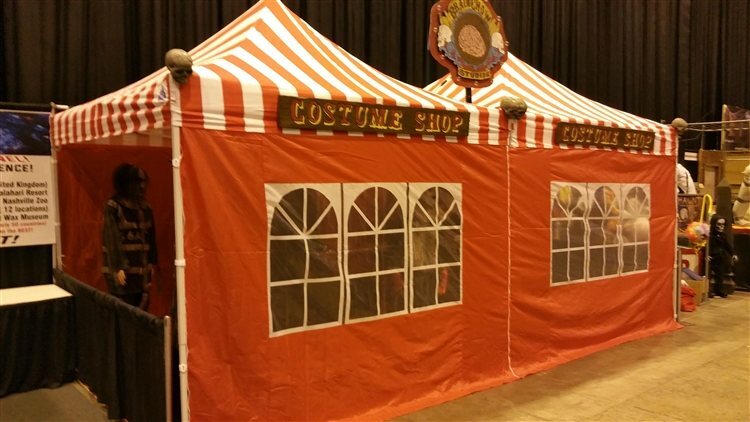 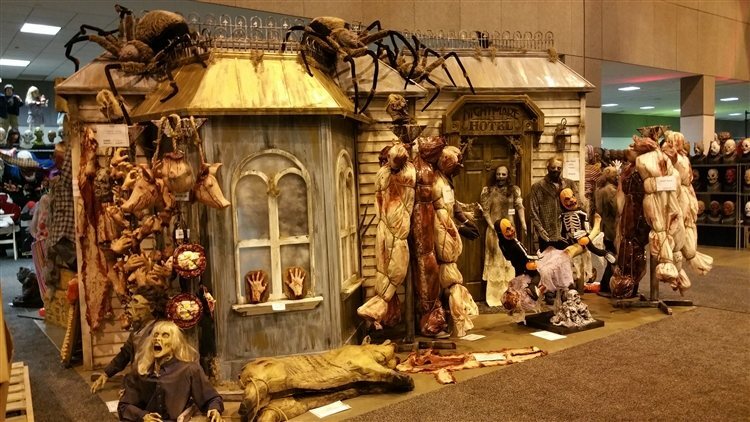 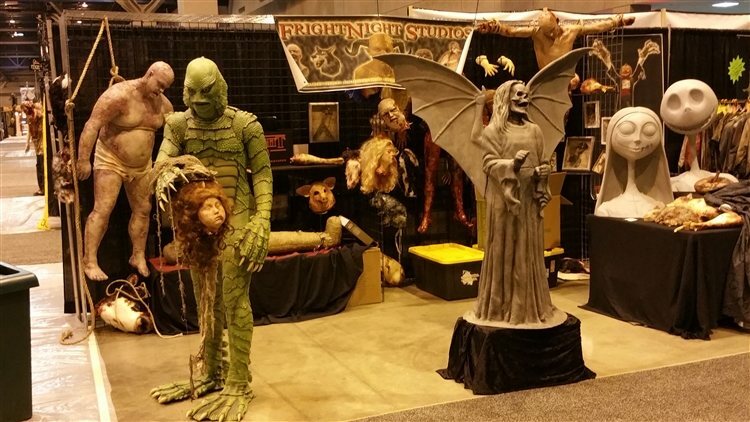 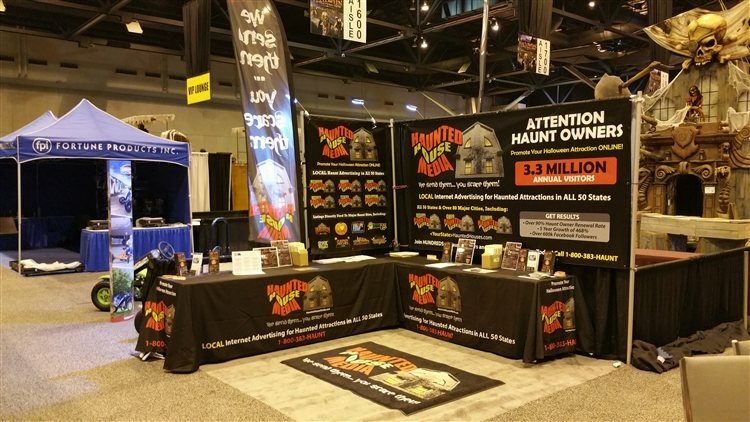 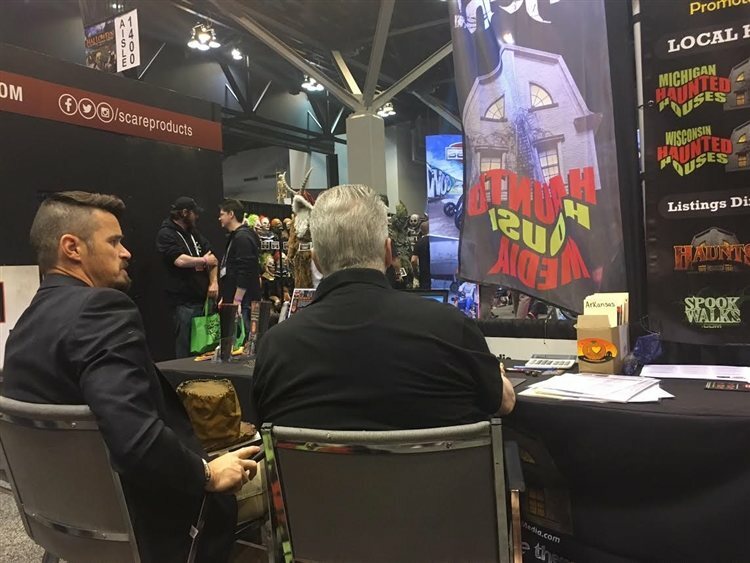 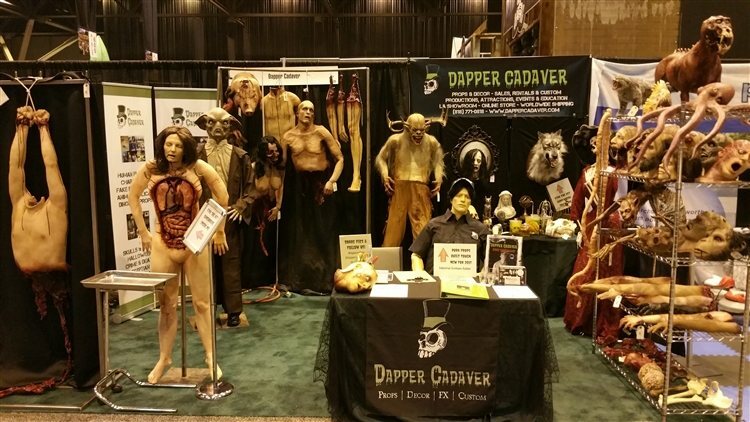 Each booth showcased their brand and products, creating a one-stop-shop for Haunt Owners to stock up on all their Haunt Season needs and a place for Halloween Enthusiasts to get their fix long before Halloween arrives. 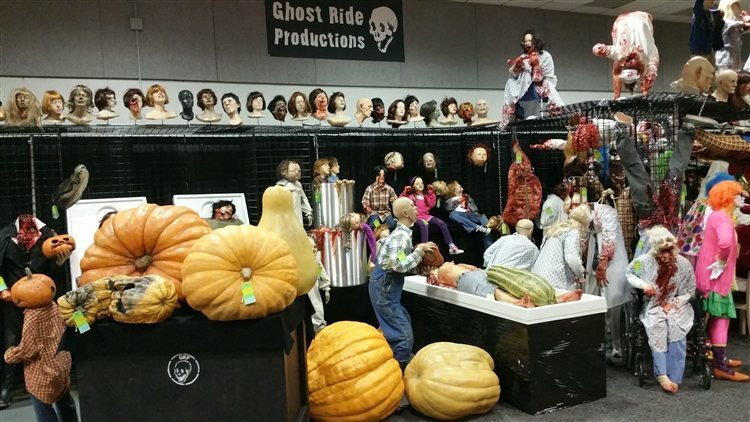 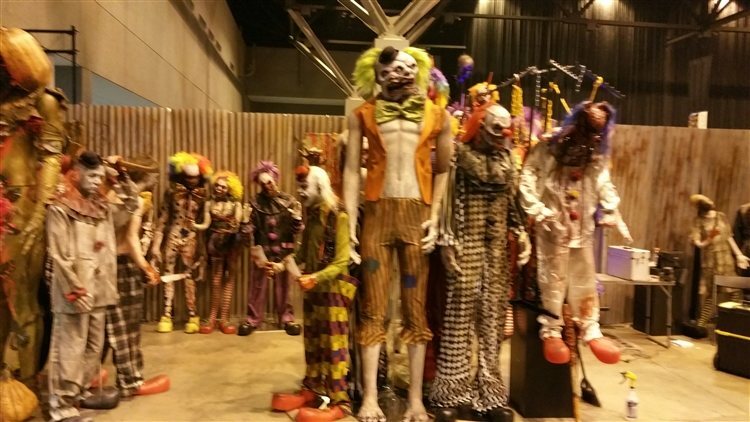 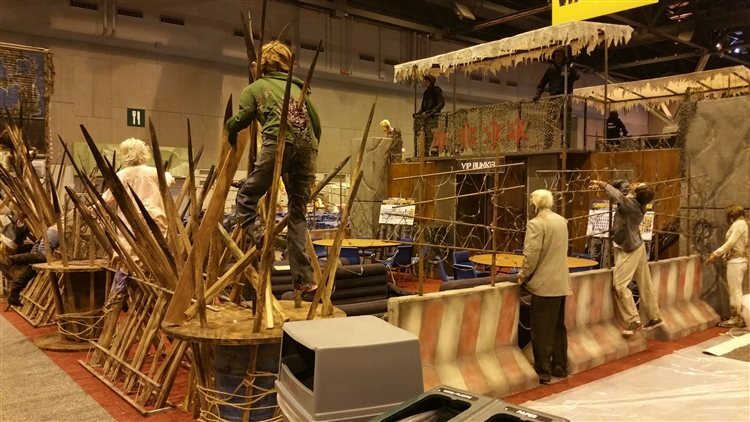 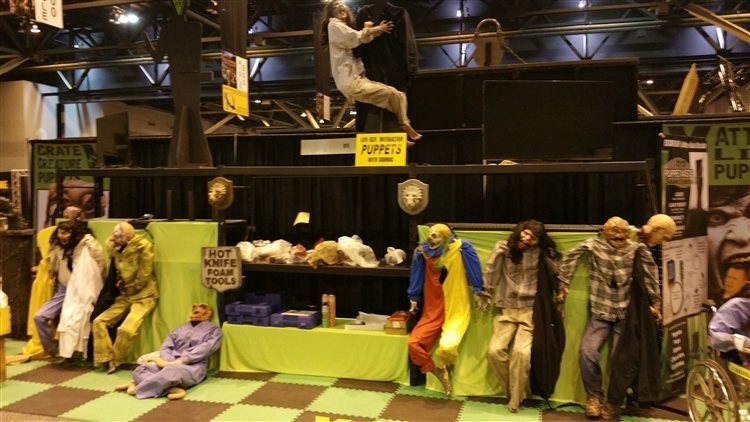 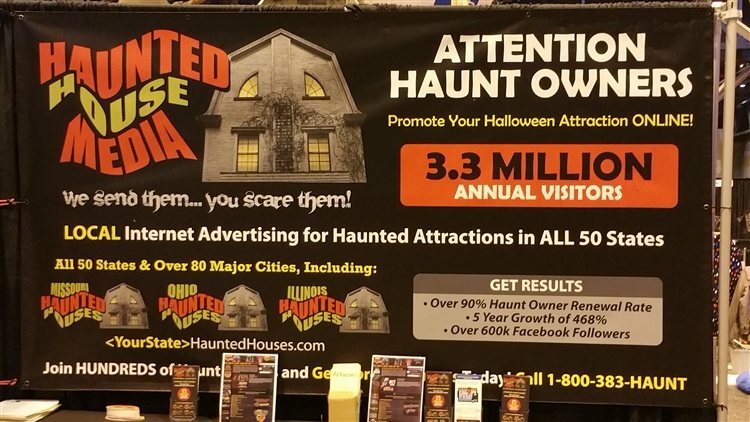 Check out some more photos from the TransWorld Halloween & Attractions Show below! 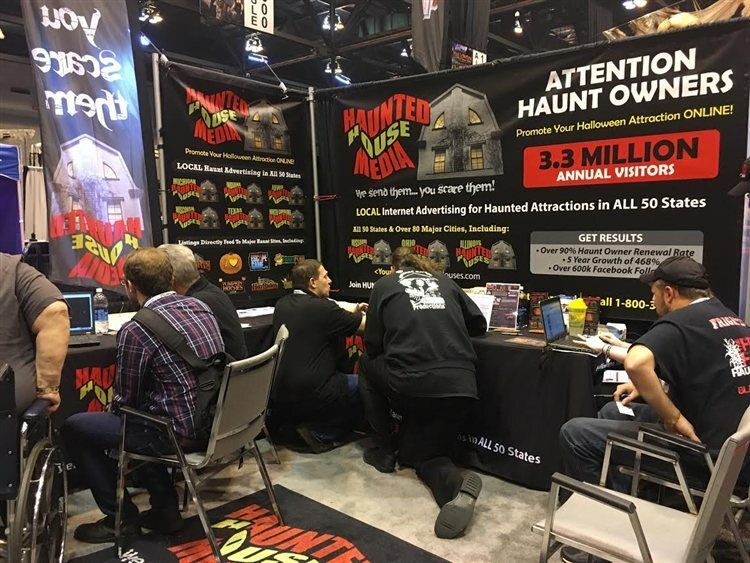 All photos taken by Haunted House Media crew.